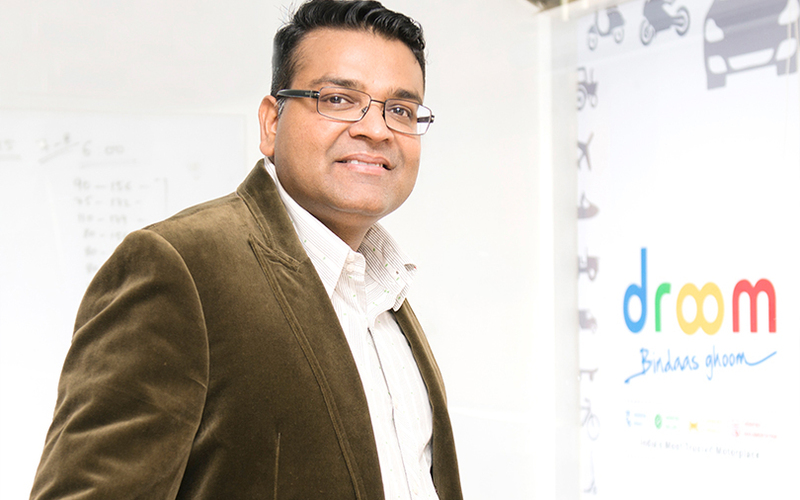 New Delhi, October 04, 2018: Droom, India’s first, largest and pioneering online automobile transactional marketplace, recently closed its Series E funding round raising $30 million, led by the Family office of Japanese based investor Joe Hirao, Founder ZIGExN. The online marketplace has raised $125 million in total funding including the current round of funding, which is the highest in the online automobile marketplace segment in the country. The current funding round highlights Droom’s growing appeal among global investors and validates its position as the undisputed leader in online automobile marketplace in India. Droom is currently on a rapid expansion drive, aiming to expand its operations in 100 more cities across the country while also eyeing international penetration. In the past three years, it has acquired over 75% of the online automobile market share in India, generating close to $750 million in gross revenue and $20 million in net revenue with the listed GMV of $6bn. The company aims to double its gross merchandise value to $1.4bn by end of 2018 and $3.5bn by 2019. The company plans to go for an IPO by 2020.